The magical festive season is around the corner and the SPAR Carols by Candlelight with Jacaranda FM returned with much excitement! 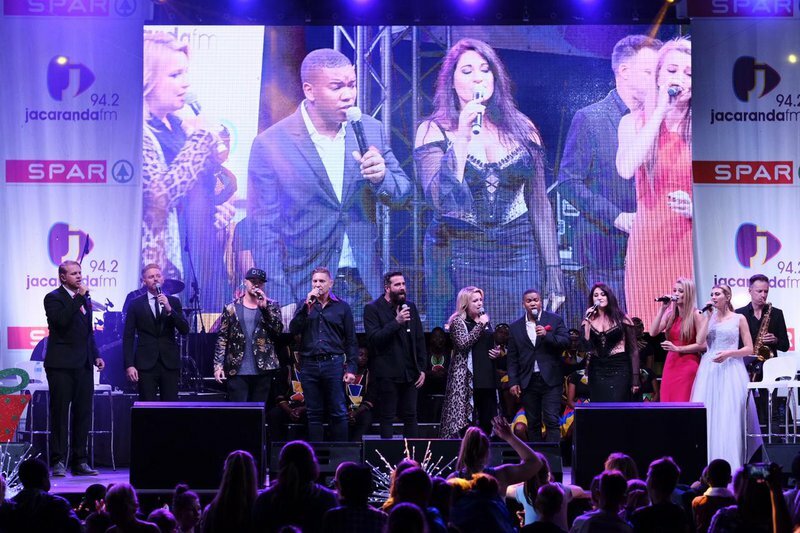 SPAR Carols by Candlelight with Jacaranda FM, the highlight of Gauteng’s festive calendar, featured a stellar cast of SA’s top artists. Charlize Berg, Karen Zoid, Kurt Darren, Nadine, Jo Black, and Nianell were joined by Swing City and the Ndlovu Youth Choir in bringing the Christmas spirit to Loftus Versveld! SPAR's Inland Advertising and Promotions Manager, Piet van Vuuren, joined Breakfast with Martin Bester on Wednesday morning, saying: "It's the first time in a few years that there were so many people in Pretoria. 200 boxes of toys were collected." Due to the Spar Carols By Candlelight Johannesburg event being canceled due to adverse weather conditions, Van Vuuren and SPAR generously donated R50,000 to ensure local children can have a happy festive season. All funds raised will go towards The Good Morning Angels Fund. Martin Bester announced on Breakfast that R67,800 was raised, all thanks to you!